The festivals don’t stop just because the summer is over. From EDM to Greek culture to manga, you’ll be too busy to notice the falling temperatures. Meet more than 600 authors—from YA favorite Sarah Dessen to local Pat Conroy—on the Square at the largest independent book fest in the country. Roxane Gay and Erica Jong kick off the weekend with a keynote. Don your best super hero costume and head to the hundreds of panels, signings, and parties during downtown’s nerdiest weekend. Expect everyone from Congressman John Lewis to True Blood‘s Kristin Bauer van Straten. Autumn’s answer to MomoCon, attend anime and manga panels, concerts, screenings, and more in Cobb County. Don’t forget to cosplay! Classic cars, local bands, and a parade take over East Atlanta Village for this free fest. And because this is EAV, there’s a beard-growing competition. 20 live entertainment groups, a parade, and a doughnut 5K—this neighborhood shindig has it all. The Atlanta Bicycle Coalition shuts down Highland Avenue this time. Ride your bike/skateboard/rollerblades (anything but your car) through the closed off streets, also including parts of Boulevard and North Avenue. For almost 20 years, this Marietta staple has spotlighted more than 175 jewelers, painters, sculptors, mixed-media artists, and more in the Square and Glover Park. Buy crafts from more than 400 national artists at the 47th year of this Stone Mountain Park fair. Don’t just see and buy the art, make it yourself. From a creative write-a-thon to paint by the numbers to dance workshops, get inspired at this Little Five Points happening. Join the Krewe of the Grateful Gluttons to march down the Eastside Trail, lantern in hand, for the event that officially kicks off Art on the Atlanta BeltLine. Ride—or just watch—hot air balloons at the 17th year of this Callaway Gardens event. If you prefer to stay more grounded, run a 5K, dance to live music, or check out the classic car show. 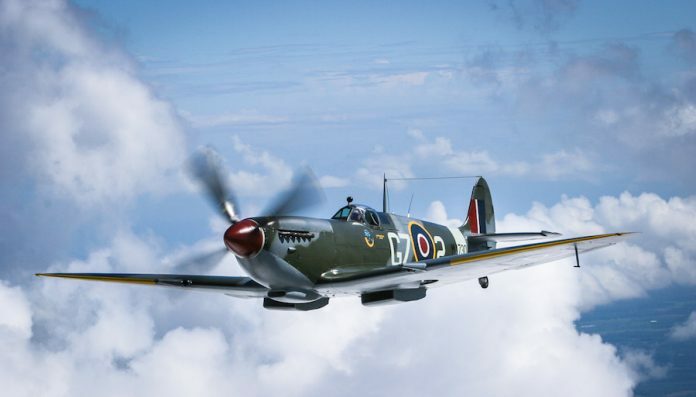 Take a flight or at least a cockpit tour of a British Spitfire, a German FW 190, a SBD-4 Dauntless dive bomber, and more war planes at DeKalb Peachtree Airport. Nostalgia flies high with WWII reenactors, pin-up girls, and 1940s music. Get down to local and international house music DJs at this free dance party in Grant Park. Guitarist Tim Bowman, saxophonist Paula Atherton, and more play smooth jazz at this concert at the Atlanta Waverly Hotel. BYOT (bring your own trumpet) to this Emory get-together. Practice in ensembles Saturday, then perform in a concert on Sunday. No auditions required for the all-ages event, but professionals are present to get you in tune. Elton John returns to Atlanta for the Piedmont Park concert. Oh, and Sam Smith, Hozier, Van Halen, Drake, and Lenny Kravitz play, too. This Clayton music fest recreates the summer sleep-away experience down to the cabins, crafting, dodgeball, and lip sync contests. Plus hear 15 bands, including Cold War Kids, play beach parties and acoustic campfire sets. Grab a glow stick for the third year of the EDM festival in Chattahoochee Hills. Adam Beyer, Afrojack, and more spin sets. We’re talking about jerk chicken here. This is the 10th year of the Caribbean culinary celebration at Panthersville Stadium, where one cook will take home the Atlanta’s Top Jerk Chef award. From folk dancing to a banitsa bake-off, the inaugural Pickneyville Park gathering honors Balkan culture. This Gwinnett Center event showcases Japan’s oldest and newest culture, from top spinning performers to a bike-riding robot. Worth the drive: At the largest Native American gathering in the Southeast, 200-plus dancers, storytellers, and craftspeople come to Macon. Celebrate Latino culture, from more than 30 bands to food, at this Georgia International Horsepark party. For more than 40 years, this event has celebrated all things Greek, from gyros to dancing, at the Greek Orthodox Cathedral. Opa!